Home // Readers Klub // James Patterson Creates “Self Destructing” Book To Market Latest Thriller ! 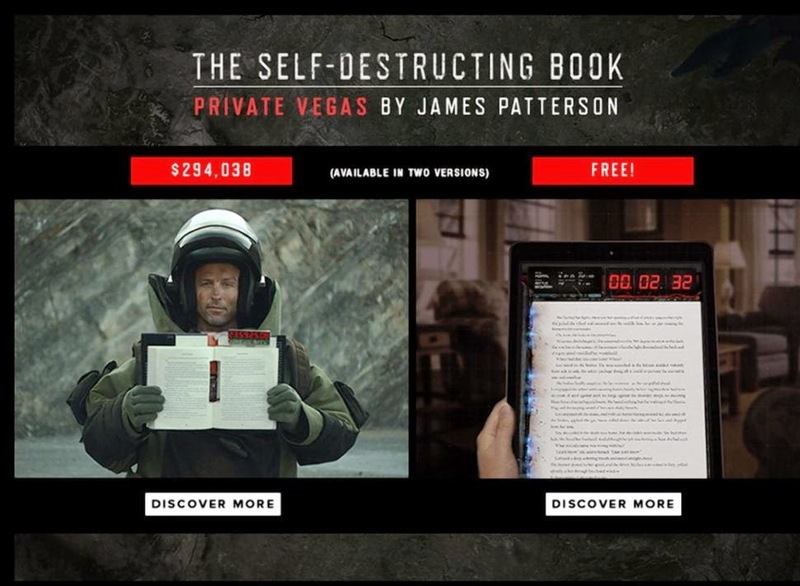 James Patterson Creates “Self Destructing” Book To Market Latest Thriller ! With between 600,000 and a million books being published or self-published just in America each year, it is getting increasingly hard for writers to get their books noticed. Most stick to old-fashioned tactics like book tours that allow them to connect with their existing readers and attract new ones. However, there are a few that pull some brilliant marketing stunts to get their publications noticed. The latest one making headlines is none other than world-famous best-selling author James Patterson. To publicize his latest release Private Vegas, the writer who is known for his heart-stopping thrillers teamed up with advertising agency Mother New York, and came up with a radical idea – creating a book that has a built-in clock counting down from 24 hours. Once the time is up, the book self destructs. This means that the reader has to either finish it in the allotted time or live his/her life in perpetual suspense.While the physical book is still up for grabs, the e-book codes were immediately snatched up Patterson fans. am going to revisit yet again since I saved as a favorite it. Dqtlgo Good day! Do you use Twitter? I’d like to follow you if that would be okay. I’m absolutely enjoying your blog and look forward to new updates.
) I am going to come back yet again since i have bookmarked it.